Thank you for joining us for The Pipes Magazine Radio Show—the only radio talk show for pipe smokers and collectors. We broadcast weekly, every Thursday at 8 pm eastern USA time and are available on nearly all podcast sites and apps. Listen on your computer, tablet, phone and even in the car! Our Featured Interview tonight is with Pipe Maker Jody Davis. 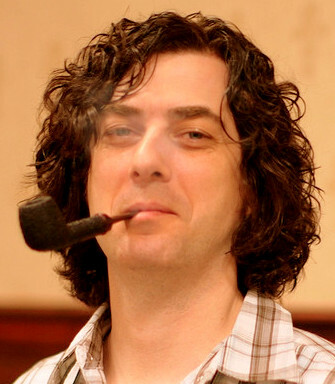 Jody is an American pipe maker influenced by Jess Chonowitsch and other Danish pipe artisans. 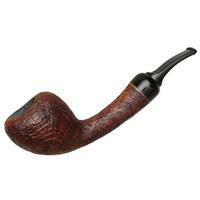 His pipes are extremely high quality with Danish style designs. In our "Pipe Parts" educational segment we will have part 2 of Brian’s exploration of the differences between three separate vintages of Escudo tobacco. Our pipes are packed, drinks are poured, the sound check is done … pack a pipe, sit back, relax and join us for The Pipes Magazine Radio Show. Tonight’s show is sponsored by Sutliff-Tobacco.com, CupOJoes.com, SmokingPipes.com, Missouri Meerschaum, 4noggins.com, and MeerschaumStore.com, Please give them some consideration when making your next pipe or tobacco purchase. 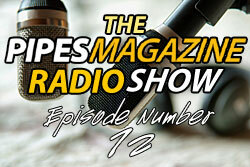 We would like to invite our listeners to be part of The Pipes Magazine Radio Show by sending in your own audio files. You can record an audio clip on your smart phone, tablet, laptop or desktop and send it to us via email. Some ideas for the recordings can be as follows. 1. A Fake Tobacco Review - make up a fake tobacco blend, tell us the name of it and make a silly review about it. 2. Dumbest Tobacco Blend Ever - create a dumb tobacco blend, name it and tell us what is in it. 3. The Dumbest Thing you’ve ever done with a pipe. 4. 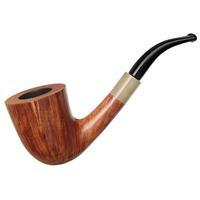 Favorite Pipe Smoking memory. 5. Reactions of anti-smokers to you smoking a pipe. 6. 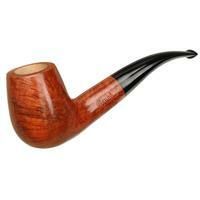 Questions about pipes, tobaccos, or anything personal that you want to ask Brian, or even Kevin. Nice summation on the tasting of the Escudo. You need some 20+ years on a tin. I liked the music selection. I may have to listen to more of his music. I remember track order on an album. It is very important on some of the “Moody Blues” albums. Yes, you are old and cranky! Great point Brian, As a die hard Pink Floyd fan I could not imagine listening to their music out of order. Most of their music (especially during the Roger Waters era)could not be truly appreciated in any order but in the original order. Speaking of staying on the charts “Dark Side of the Moon” lasted from 1973 to 1988 that is 741 weeks. Again a great interview and it was great to hear Jody’s experiences. Yes my name is Brian also. As usual. A GREAT SHOW AND INTERVIEW. KEEP UP THE GREAT WORK. Great conversation with Jody, and a nice piece of music. I completely agree with the rant. Many rock albums of the late 60s and 70s were meticulously programmed. Can one imagine the music of “The Wall” or “Quadrophenia,” let alone the last half dozen Beatle’s albums arranged in alphabetical order? Have I mentioned that I love the show? 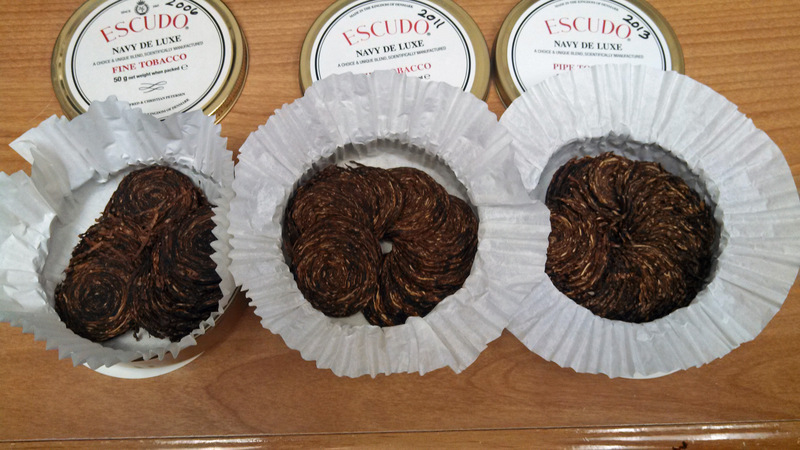 I enjoyed Brian’s discussion of the initial taste trials of Escudo. I would probably disagree with him based on my own tasting, but things can vary quite a bit from one tin to another. The interview was cool. I really like Jody’s remarks about a carver should learn his craft before attempting to sell pipes. I think we are all weary of the new carver who wants $400 or more for his early production. I was shocked that Jody says he produces a new pipe, on average, once every week-and-a-half. Not much chance I would like the music selection since I didn’t like it in the 60’s and 70’s. As for the rant it is a really different world than it used to be. Remember the days when it was the quality of the music that sold songs?? Today it is all about the video. How many gazillion selling mediocre songs have we heard that the only thing it had going for it was killer video. Another great show re-listening the show on my PC via iTunes and enjoying the show while smoking Peterson Irish Oak. Thank you so much for the Jody Davis interview! I have been a longtime fan of his work and his journey through life. It is refreshing to hear of people doing what is right for their family before they do for themselves. As for the rant, you sounded like that old fart who can’t stand anything new! I agree with you though. So we are both curmudgeons hunched over our turntables listening to grainy blues records appreciating the full artistic quality of producing an album the old fashioned way. Have a great week and hope all goes well with the house repairs. At least it has warmed up a bit down here! !